*Note – I generally try to avoid spoilers when writing reviews, but this one is chock full of them. There were some things that bothered me that couldn’t be discussed without a full synopsis. So, read at your own risk. 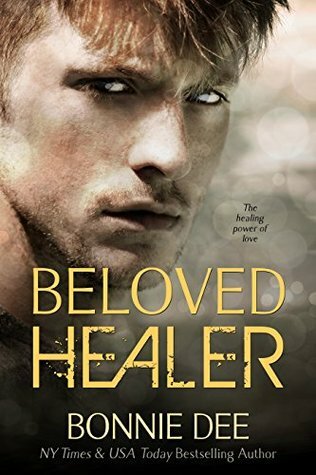 I just read Beloved Healer by Bonnie Dee. I’ve read books by her before and liked them. They’ve always been on subjects that are just a bit off the beaten path, but I like that. In Beloved Healer, Mason has healing powers, but they, and people’s demands on him exhaust him, so he takes a break, hiding out in a small town, working as a dishwasher at a local diner. Ava works there, too. She’s got and alcoholic drug addicted and probably depressed mother. and she’s got a 12 year old brother (12 years younger than her) who she’s been raising since her mom fell off the wagon when her dad died, back when her brother was 2. Are you still with me? Because there’s one more thing. Ava’s brother has muscular dystrophy. He walks with crutches and he’s doing ok, but it’s a downward slide for him. So, Ava and Mason start to date. Then there’s an accident at work and it comes out that Mason is a healer when he helps a co-worker. That starts the rumor mill and people start showing up asking Mason for help. He has a hard time saying no. Ava hears about Mason’s healing ability, but she takes it in stride. She decides not to ask him to help her brother, because she sees that everyone wants a piece of him and that he’s really tired. Eventually they do talk about her brother though, and Mason explains that some things are just too big and can’t be healed. This is especially true with things that start at the gene level, like her brother’s MD. Mason goes on to explain that his mother died of cancer when he was in his late teens. His two older sisters were both very angry with him that he couldn’t help his mom. After she died he ran away from home and has been drifting ever since. Ava encourages him to reach out to his sisters. He does and they make peace. Meanwhile, the people of the small town keep asking for healing and Mason is feeling trapped, like it’s time to move on. So he explains to Ava why he has to go and they break up amicably. Ava really wants to ask him to stay because she loves him, but it feels really selfish to her. On the way out of town, he stops by a revival healer tent show where he used to work and gets conned into working just a few more shows. Ava’s brother has an acute illness, and on the way to the urgent care center she decides to pull into the revival instead. (And at this point I’m mentally screaming “What in the hell are you doing??? ?”) Mason is exhausted but goes ahead and heals her brother’s developing pneumonia anyway. Then he decides, what the heck, he’ll try to heal the MD because he loves Ava so much he wants to do this for her. He does his healing mojo until he passes out, and he thinks to himself that he may have died. But, Ava and Mason have some sort of woo-woo connection they hadn’t realized was there, and she brings Mason back by willing energy into him. So, that’s pretty much the story. It’s the epilogue that I really have issue with (other than the idiot-ness of taking her brother to be healed by Mason when he’d already told her he couldn’t do it.) So here’s the epilogue. Mason is getting along with his sisters. Ava’s brother is totally cured. Ava’s mom is in rehab. Mason no longer has healing abilities. Apparently the deal with her brother just got rid of them. And here’s my issue. And it’s totally personal, and it’s because of where I’m at in life right now. Why did everything have to be so perfect? I wanted to see a story where the kid brother was still suffering/dying slowly, and life went on and the hero helped the heroine cope. Despite the book being about a healer, I wanted them to have to work with the reality of NOT being able to heal everything. I guess I’m kind of offended that they took the easy out on the healing. And the situation with Ava’s mom was messy, but it just magically resolves itself. Not only is she in rehab, it’s happening out of town, so they don’t even have to deal with her, other than phone calls. And Mason losing his healing powers… throughout the story I thought he needed to learn some boundaries. Get to the point that he could say no to people once in a while. But no. He just loses the powers. And Ava needed to learn to stand up for herself and ask for what she needed. But she never really did. And all her issues were solved magically anyway. So, all in all, the magical, easy way out, happy endings annoyed the heck out of me and ruined what could have been a good story. How about you? 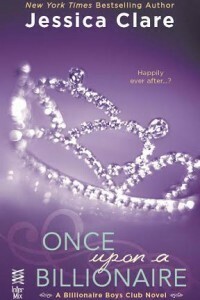 Have you ever read a book where the ending ruined the whole thing? I have been having a very difficult time lately with my reading. I just can not engage. I mean, not at all! I lose interest in what I’m currently reading and then I’m not certain if the book sucked or it’s my mood at the time I read it. Ugh. It’s very frustrating. I have a huge TBR list and it feels like work when I read. I’ve tried every genre lately and nothing is working. I usually hit a historical romance for a palette cleansing but that isn’t cutting it this time. I have even stopped watching four of my current TV series so I can have more time to read. Then, what do I do? That’s right, I live on Candy Crush. Don’t even say it, I’m not giving up my Candy Crush! I totally immersed in my book funk and I hate it! It wouldn’t be so bad but this funk is coming in on the heels of Kate and Anne’s recent book funks. Anyone out there have a suggestion to bust me out of this funk? Anyone?